It is no secret that I have fine hair which is is very delicate. I still cannot believe that I was wearing a "wash and go" style everyday for almost two months. It did not seem like my hair was breaking at the time but when I did a length check, I did not make any progress. So, me dear readers, I have decided to leave the "curly girl" method (or "kill my hair" method, in my case) alone. The truth is, my hair breaks EASILY and it has nothing to do with protein and moisture balance. My hair is just very delicate and should not be touched too often. I have decided to wear protective styles for as long as I can take it. My protective style for this month (Sept 8th till Oct 8th) is Mini Twists. Okay, so mini twists, as beautiful as they are, are not kind to fine hair (I have a long history with mini twists). My hair got so matted together and I lost hair in the process of detangling my hair. Oh, the frustration of taking mini twists out but I always loved the look of mini twists. In my opinion, mini twists or twists for that matter are not protective styles. They are low manipulative styles and can be damaging depending on your hair type. 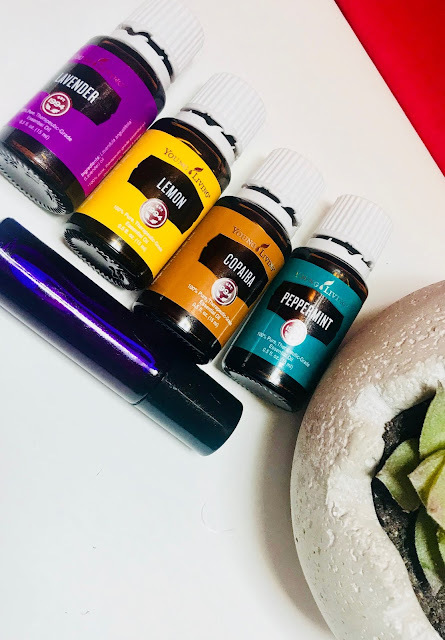 The ends are not protected and if you have the "hand in hair" problem (always touching your hair at your desk or wherever), then it's even worse, because you gradually loose the ends of your hair from physical stress. 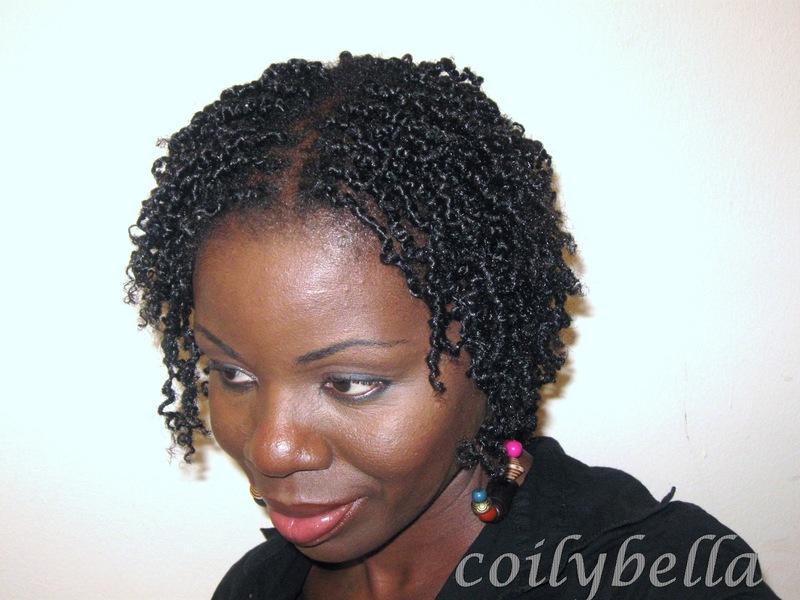 Looking at the pictures above, I am sure by now, you probably think I am crazy for installing another set of mini twists. But if you look closely, you would see that I used extensions. Yes!!!! For the first time I had enough courage to add extensions to my hair. Once I did my daughter's yarn twists, I felt very ready to do these on myself. I am very happy with the results. They look so natural that it's hard to tell they are not mine, unless you look very closely. These are completely protective as my ends are hidden. Also the technique I used is not going to have my hair matted together. I am currently editing the tutorial for these. Trust me, it is not anything that you have not seen on Youtube, but I hope it can be helpful to anyone interested. Sorry you didn't retain any growth. :( The twists look great. I agree with you about twists not being a protective style. I believe that protective styles should protect your ends and be low manipulation. There are certain styles that I just have to leave alone. The curly girl method is not for me if I want to retain length. Aww...sis, you live and learn. :) I love those twists and as you said I wouldn't have known they were not all yours if you didn't say anything. Wow..great job. Waiting for the video. I have accepted that certain styles are not for me. I am loving these twists. I just love twists in general but I am happy that my ends are hidden. Fine hair is tough. A stiff breeze with wreck havoc on some strands in a minute. I am experiencing some real hair craziness at the moment and appreciate your comments about mini twists. I find myself in full agreement. They can be quite damaging as they knot and mat and otherwise do things that are not in keeping with length retention. Thanks for the wise post. I get excited when someone else sees eye to eye with me. I hope ladies with fine hair can learn from me and stop delaying their progress with damaging "protective styles". Your hair is really pretty. Love how you cant tell that extensions are in it. Great post. I lost a lot of length to twist but when I learnt how to do loose twists there has been no turning back. Keeping my hair in buns and bigger braids when it is in twists also helps me keep my ends protected and hands out of my hair. Before I read the post I thought "wow her hair has grown!" lol They look very natural. Great job. I nominated you for The Versatile Blogger Award! Details here http://mybabygirlscurls.blogspot.com/2012/09/i-was-nominated-for-versatile-blogger.html ^_^ BTW, those mini-twists are amazing! Wow, that looks natural. I couldn't even tell until you mentioned it/ Great job. And I understand your frustrations with fine hair. Dreading was a good move for me because I had breakage issues, too. Even now I have to be extra careful with certain parts of my head when manipulating. I'm still trying to learn how to style my hair with extensions, but i believe some styles can only be achieved with a stylist. So I still use stylists about 5% of the time, mainly when I need to do cornrows or single braids, which I don't do as often anymore. Too bad the curly/kill my hair method didn't work for you. BTW, I nominated you for the versatile blog award on my blog on my blog. I love your style. I recently purchased a package of spring twist hair to try out, but I haven't gotten the method down for adding it to my own hair. Any suggestions you have would be appreciated. 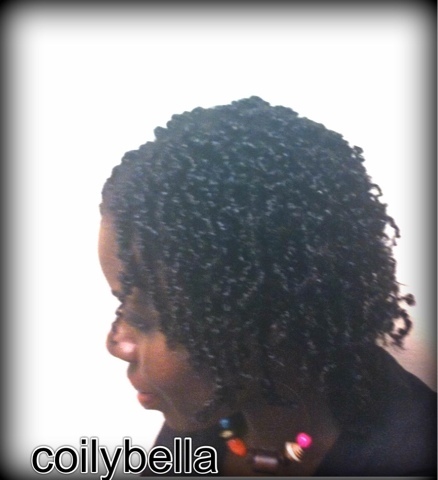 check my video on youtube "curly mini twists with a twist"
looks great! i thought it was all your hair haha. i don't think i've seen anyone do mini twists with extensions before. i feel you on the mini twists, though. i have lots of density but my strands are super fine, and mini twists tore up my ends. ssks and matting everywhere :( lately, i've been doing twists between small/medium with braided roots and i'm hoping they'll be nice to my hair. Mini twists are pretty but destructive to certain hair types. I love twists with braided roots as well!